University Place is a four minute walk from the METRO SUBWAYLINK METRO SUBWAYLINK at the LEXINGTON MARKET (METRO) sb stop. 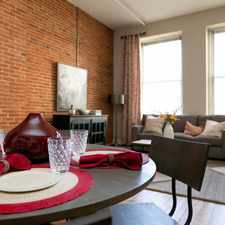 This apartment is in the University of MD at Baltimore neighborhood in Baltimore. Nearby parks include University Square Park, Seton Hill Historic District and Ridgelys Delight Historic District. University Place has a Walk Score of 97 out of 100. This location is a Walker’s Paradise so daily errands do not require a car. Come see our newly renovated apartments located on the downtown campus of the University of Maryland. 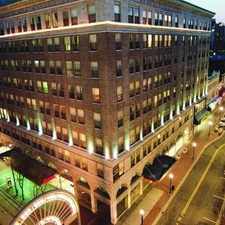 Enjoy being steps away from UMMS, the VA Hospital and all the U of M graduate schools. You will love the charm of these newly updated apartments including washer/dryer in every unit, exposed brick and stainless steel appliances. Relax after a long day at work with a game of pool or a workout in the fitness room. Explore how far you can travel by car, bus, bike and foot from University Place. University Place is a Rider’s Paradise which means world-class public transportation. Car sharing is available from Zipcar and Hertz On Demand. 617 West Lexington Street compared to all of Baltimore. How do you feel walking near 617 West Lexington Street? University Place is in the University of MD at Baltimore neighborhood. University of MD at Baltimore is the 3rd most walkable neighborhood in Baltimore with a neighborhood Walk Score of 97.